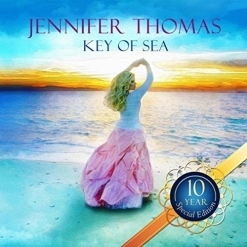 There is no doubt that Jennifer Thomas has kept a high profile courtesy of her 2017 Ten Year Special Edition of her debut Key Of Sea along with her 2015 seasonal album Winter Symphony. However the reality is that it is has been over six years since her last full length original epic recording Illumination. So was the wait worth it? Well if you like brash, beautiful bold music that will light the musical fury from within, then heck yes The Fire Within is all that and more!!! Jennifer Thomas never thinks small and as a result her wanderlust of ideas literally takes us on whirlwind tour from her home recording studio in Sequim, WA and from there onto Seattle, Nashville, Stockholm, and for that matter Abbey Road in London. Once more she teams up with her old musical friend Glen Gabriel for assistance with the orchestration and percussion like she did on Illumination. However, The Fire Within while embracing elements of her prior epic recording is not just a status quo recording attempting to reduplicate her efforts, but Thomas continues to spread her musical wings making her latest recording a very personal one. The most obvious comes courtesy of the opening title track where Thomas duals it out with her musical peer and friend Kimberly Starkey AKA The Rogue Pianist who also co-wrote the song. Paying attention to detail, including the fire starter sound effects, this fast paced yet also progressive sizzler “The Fire Within” will have you sitting upright and attentive letting you know Jennifer Thomas is back and on fire. Both pianists’s while beautiful and harmonic, they are passionate, well skilled and aggressive as they battle it out into a rising effectual conclusive explosion. Musically similar results can be found on the audacious “Rise Of The Phoenix” with the orchestra and percussion this time battling against Thomas’s powerful piano performance. Thomas also finds quiet reflective moments that are also clearly very personal. The most obvious is her simply elegant and beautiful composition “Because Of You” dedicated to the unending supportive husband Will. It also includes the integration of Sergei Rachmanioff’s “Theme On A Paganini” that only intensifies the original composition attributes. On an even more personal level there is the most introspective and moody “Girl In The Mirror” that musically appears to reflect a battle of craving for reflection and solitude and yet still seeking to break free from the chains of our everyday struggles to fly on high. Of the ten tracks on The Fire Within, eight of the tracks are Thomas’s self composed material although occasionally she will sleekly borrow themes and seamlessly place them within the structure of the song. She also collaborates with cellist Tina Guo on the transcendent "Awakening". But even better is her slow, scaling “Soaring” where Thomas’s piano work along with the wordless vocals of Eurielle and Gabriel’s orchestration almost gives you a glimpse of the heavenly skies here on earth. Thomas covers two songs one of them being Han Zimmer’s “Time” which is truly an outstanding arrangement. The three musical passages accurately embodies our human life cycle as we stir slowly as a uniquely created babe in their mother’s safe womb with a quickened heartbeat, to the pure energy of the midsection of our youth and adulthood, only to return to the slowing golden years with a sudden end to our lives as we extinguish to the other side of paradise. While Thomas for the most part holds true to some of Zimmer’s original composition, her piano work in the mid section is more vibrant, prominent and passionate and with no disrespect to Mr. Zimmer, it only improves on the original creation. Thomas closes out with the majestic “Glorious” that just about sums up the magnitude and majesty of The Fire Within. There will be debates as to whether this latest creation surpasses the epic Illumination but does it really matter? 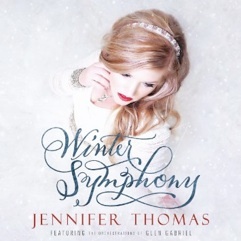 Jennifer Thomas has simply added another brilliant recording to an already impressive discography that continues to shout out on the mountain tops the need for a complete full assault of major label support. Yes, she is that impressive.